BOOK TRAILER REVEAL + REVIEW + GIVEAWAY FOR JOSHUA AND THE ARROW REALM! I’m thrilled to unveil the trailer for book two in Donna Galanti’s fanta sy adventure Lightning Road series, JOSHUA AND THE ARROW REALM, arriving August 30th. The Midwest Book Review calls book one, JOSHUA AND THE LIGHTNING ROAD, “a heart-pounding thrill ride full of unexpected twists and turns from start to finish.” Grab book one for just $.99cents now through September 20th. Last year I reviewed the first book in the Lightning Road series, Joshua and the Lightning Road. I’m always a bit leery of sequels as the second book often falls short of the lofty heights set in the first one. No worries here. JOSHUA AND THE ARROW REALM increases the momentum with an exciting non-stop story line of Greek heroes, hungry beasts, and betrayal from the past and future. From the first chapter I felt like I was on a roller coaster never knowing when the next twist or turn would happen. You can’t get off, nor do you want to. Joshua is faced again with who he is and how he belongs. Just what is his destiny? He just wants to be a normal kid… but he also knows it’s not possible if what some people are saying is true. He is the one who can bring peace to both this new world and his own… the oracle. You could jump right into this one as the past adventure is explained throughout, but you’d miss out on the world building and character arc so gracefully laid out. I’m highly anticipating the next road Joshua travels. I hear the same word from kids describing books they do not like. “Boring” is not something that could ever be uttered about Joshua’s tale. It’s smart, gripping, and one thrilling ride. French speaking Charlie is the perfect friend for Joshua as they both embark on this adventure. Charlie speaks in honest terms no matter what danger lies ahead. Family is an important element throughout. Joshua is not sure who his father is or if he has a sibling. Are they even alive? They mystery will continue. Joshua internal thoughts about his abilities are portrayed in a believable way. He’s scared and curious at the same time. Very typical of an early teen. High stakes for sure. There’s a world he doesn’t fully understand, near death at every turn, and trapped children Joshua must save. The entire experience will have your heart racing. Donna Galanti is the author of The Element Trilogy (Imajin Books) and The LightningRoad series (Month9Books). She attended an English school housed in a magical castle, where her wild imagination was held back only by her itchy uniform (bowler hat and tie included!). There she fell in love with the worlds of C.S. Lewis and Roald Dahl, and wrote her first fantasy about Dodo birds, wizards, and a flying ship. She’s lived in other exotic locations, including Hawaii where she served as a U.S. Navy photographer. She lives with her family and two crazy cats in an old farmhouse, and dreams of returning one day to a castle. Donna is a contributing editor for International Thriller Writers the Big Thrill magazine and blogs with other middle grade authors at Project Middle Grade Mayhem. You can find her at www.donnagalanti.com. 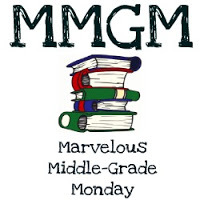 This entry was posted in Reviews and tagged Donna Galanti, Joshua and the Arrow Realm, male protagonists, Marvelous Middle Grade Monday, MG book reviews, Middle grade. Bookmark the permalink. Congrats to Donna on her sequel. Glad you liked it so much. Sounds like something I’d like too. Natalie, thanks so much for stopping by and for your nice comments! Greg, Thanks so much for hosting the Joshua and the Arrow Realm book trailer – AND for reading and reviewing!! Glad you liked it. I love being back on your blog! Thanks for including me in on the book trailer reveal. The book lives up to its promise. This does sound anything but boring. I think my grandkids would love this series. Thanks for the review. Please let someone else win, though. I am way behind on my reading. Rosi, thanks for stopping in. I hope your grandkids to like it if they read it! I have some catching up to do. The series sounds exciting and just what my son would enjoy. Loved the excerpt. This definitely sounds unboring. It sounds like something my 11-year-old would love. I like the fact that it has a French-speaking character. Very cool. Popular book launch today! Interesting to read the different reviews. Sounds like a thrilling read. Thanks Patricia! I like to write thrillers for kids and adults – super fun to put our characters through danger! Love watching trailers, and yours showed great special effects. Great big BOOM when the lightning blasted the sentences. Good fortune on your sequel! Glad you like Diego! I’ve always loved lightning since I was a little girl. It fascinates me so fun to finally write about it!